Dustin Johnson, the hottest player in golf, arrived in Saudi Arabia as one of four players ranked in the top five of the Official Golf World Rankings. With ten wins worldwide over the last three years, DJ was looking for his first non-Major/WGC European Tour victory at the inaugural Saudi Arabia International. 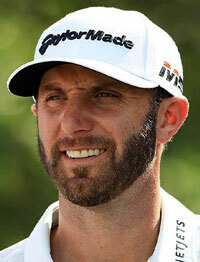 A second round score of 61 saw Dustin Johnson take a three-shot lead into the weekend. The round, tells a story of ten pars, seven birdies, and an eagle, at the same time setting a course record for the newly constructed Royal Greens Golf and Country Club. 984 career rounds for Dustin Johnson in his professional career. This is also the first time that Dustin Johnson has shot a round of 61 or lower. The three-shot advantage lead was Johnson's 17th 36-hole lead of his career. He had previously converted half of those into victory. A weekend score of 132 saw Johnson finish the week on 19 under par. That was good enough for a two-shot victory over Haotong Li. To sum up, this is DJ's 21st win worldwide since turning since professional in 2007. This is Dustin Johnson's sixth win in a European Tour-sanctioned event, and his first outside of Majors and WGC events. The win puts him fifth on the list of most successful American's on the European Tour. However, only four American golfers have won half of the eight events of this season so far. In conclusion, Dustin Johnson joins Kirt Katayama, David Lipsky, and Bryson DeChambeau as winners in the 2019 Race to Dubai.